Hi guys! Much to my husband's chagrin, I love glitter. He hates it because it somehow always ends up on him when I remove it! 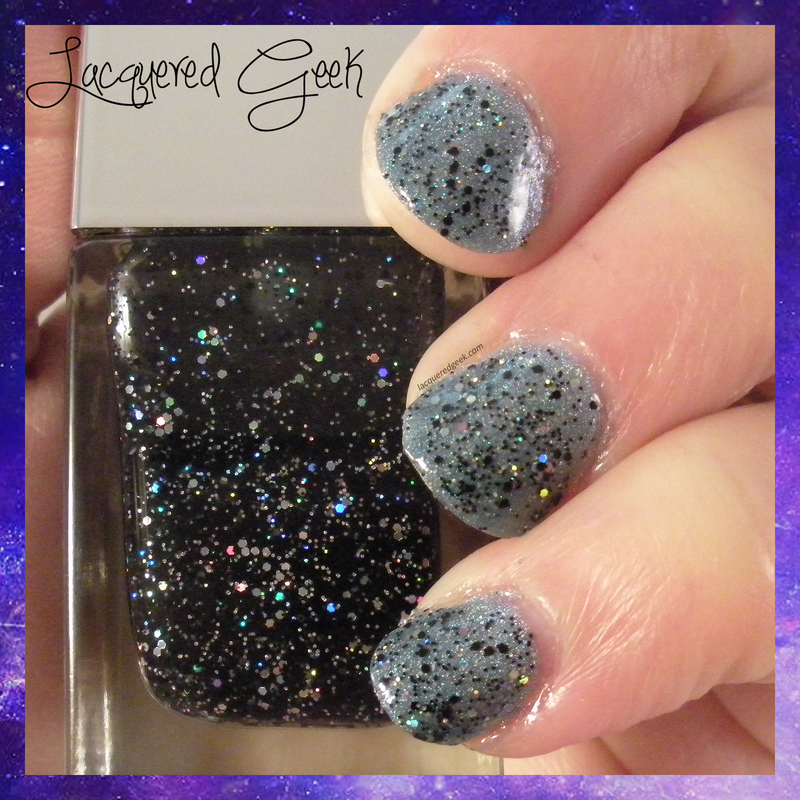 Today, I would like to share a glitter top coat from Givenchy's Christmas 2014 collection. 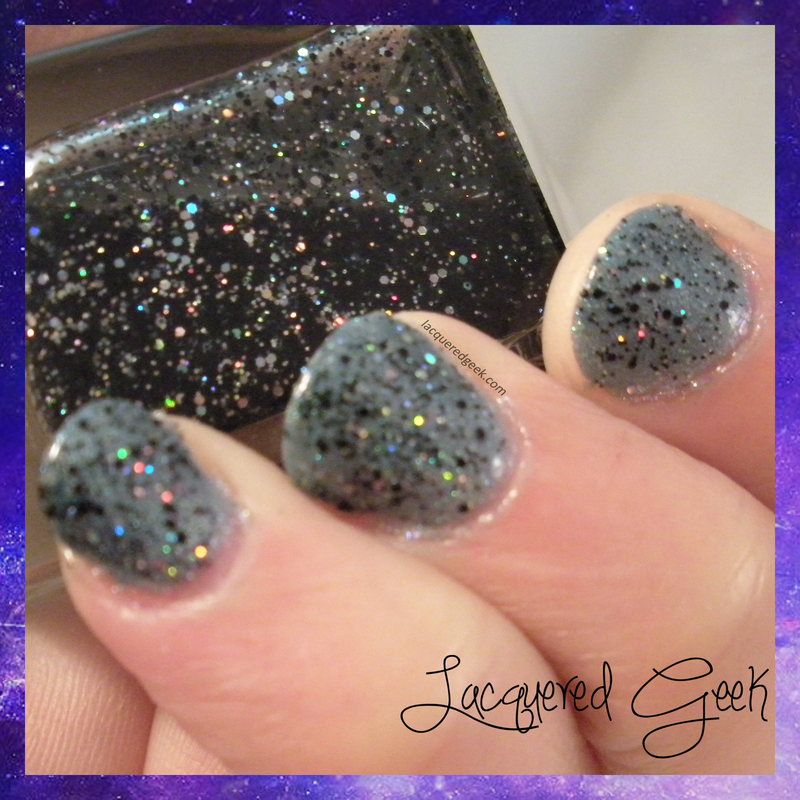 Folie Scintillante #23 is a shimmery top coat filled with various sized black and holographic silver glitters. The polish goes on smoothly and you get plenty of glitter with just one coat. The brush is quite wide (reminiscent of the Dior brush). 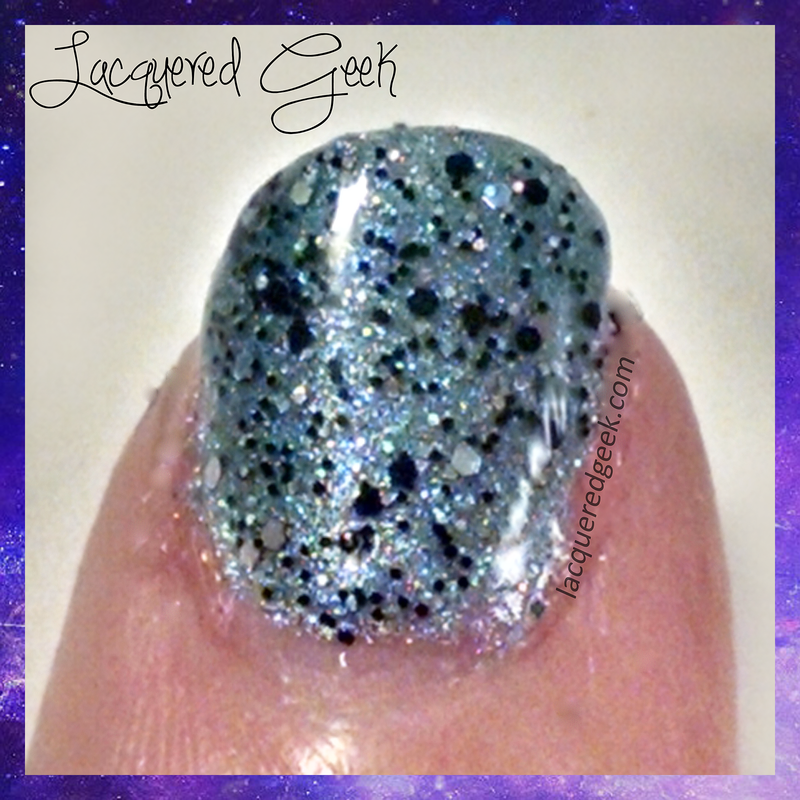 If you follow me on Instagram, you would have seen this over a darker base, but I wanted to really show off the glitters, so I paired it with an icy blue polish. I purposely blurred the 2nd photo below to show the sparkles. Folie Scintillante #23 can add a bit of glam and sparkle to just about any manicure. 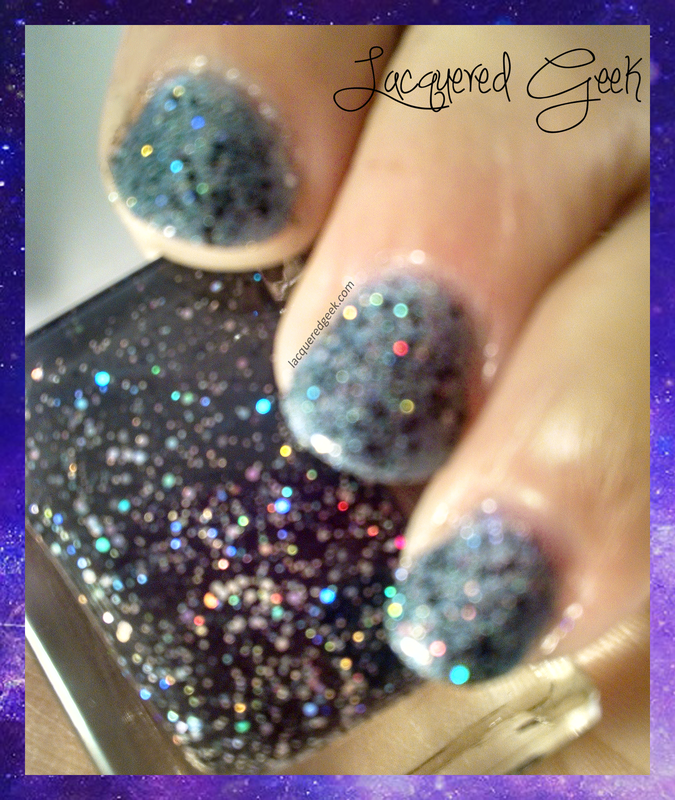 It can liven up a basic polish, and I bet it would be a fantastic addition to the base of a galaxy mani! Are you a glitter fan, or is the removal just not worth it?